Preheat oven to 400 degrees F. Place parchment paper on baking sheet. Place tomatoes in a large bowl. Add onion and garlic. Heat oil in large skillet on medium. Add mix to hot oil and stir with spatula to separate onions for 2-3 minutes. Remove from heat, stir in basil, salt and pepper. Cool slightly. 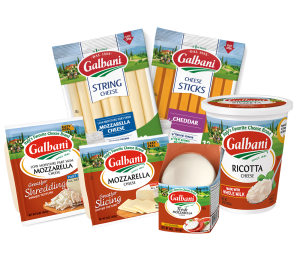 Fold in the Galbani® Fresh Mozzarella. Flour your work surface and place dough on it. Unfold and gently flour pastry. Use a rolling pin to make a 12 X 14 inch rectangle. Place it on the baking sheet. Using a pizza wheel cut 6 – 3 inch cuts on both sides of the 14 inch length, lining them up opposite each other. 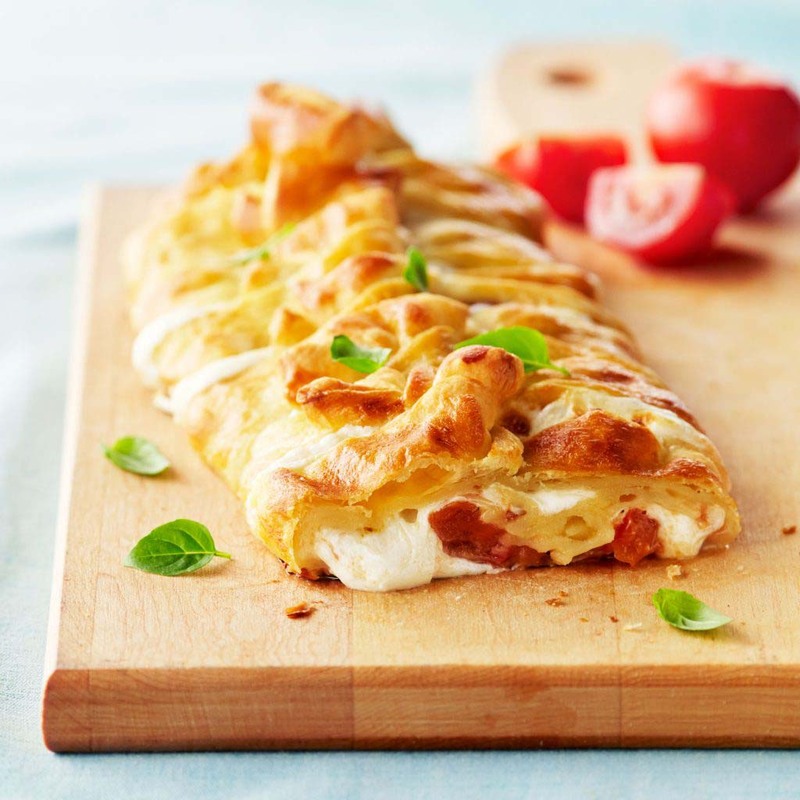 Scoop up the fresh tomato mixture with a large slotted spoon and fill the inner 6 inches of the pastry dough. To finish, take each opposite dough end, bring to the center and twist. Brush beaten egg over dough using a pastry brush. Bake 25-28 minutes or until a deep golden brown. Remove and cool at least 5 minutes before moving to a cutting board. Slice into 6 servings at each dough break. Serve warm or cool.